← It’s a Surprise – Open It! It was a chilly evening but I didn’t need anything to keep warm. Nervous energy consumed me as I drove through the evening traffic. The dojang (training hall) loomed large before me. The previous class was still in session. I tried not to focus on what the students were doing as I knew it would only escalate my anxiety. My lizard brain wanted to retreat. What was I thinking? A 40-something year old with a very unsuccessful track record in anything sports related, starting a martial arts class where the average student was likely to be at least 30 years younger! A sense of trepidation gripped me but I knew I was going to have to do this one scared! Feel the fear and do it anyway! Our instructor, Master Seyd M. A. Saidi, has practiced martial arts for over 35 years and has developed numerous teaching methods and techniques designed to aid students of all ages become accomplished martial artists. “What size uniform do you think? 3 or 4?” asked Master Saidi. “Is there a size short and round?” I responded. I was handed the size 4 and went off to change. Standing in the changing area donning my dobok (uniform) felt strangely exciting. I saw my reflection in the large wall mirrors – you’re all kinds of crazy I thought! The rest of the hour past in a blur of stretches, kicks, breathing exercises, punches and sword play. 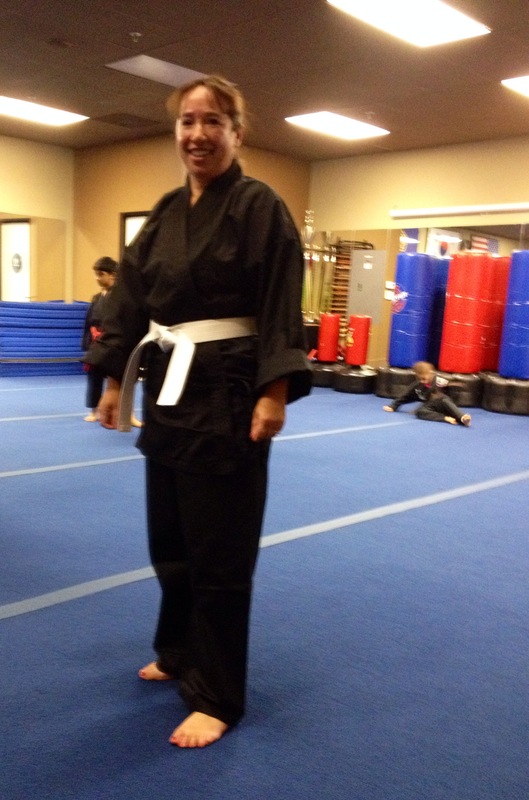 I felt rather self-conscious – the only white belt in a sea of browns and blacks! I couldn’t keep up with all of it and lost my balance a few times.Other than that though – it was exhilarating and I felt like I was connecting with my inner Cynthia Rothrock. Respect and etiquette was palpable. Controlled discipline permeated each exchange which thankfully meant I was not taken down by the more advanced students. A fellow student even handed me a training sword so I didn’t have to fetch one myself. It was a kind gesture. After the class the trainers were very encouraging. It was kind of them not to mock my lack of flexibility or dexterity. Although I still felt the weight of my inexperience, I knew that I was embarking on another journey of self discovery. Guess I would keep being terrified but I would also keep trying. 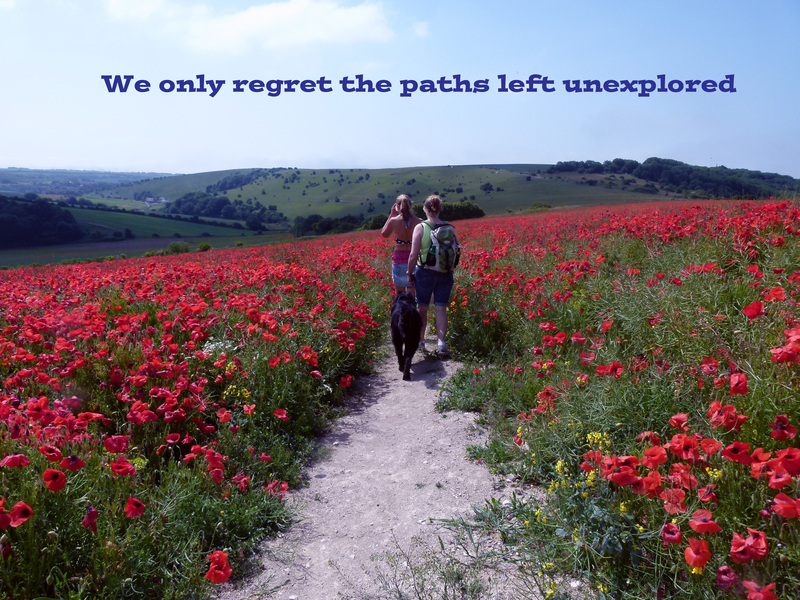 We only regret the paths left unexplored. Posted on January 20, 2015, in Uncategorized and tagged Cynthia Rothrock, dobok, dojang, fear, Korean martial arts, Kuk Sool Won, martial arts, Master Seyd Saidi, midlife, mum, training. Bookmark the permalink. 3 Comments. Congrats to you for being brave enough to again enter beginner’s mind. It’s not easy and one of the bravest things I think any of us can do. Thank you kindly Kristine! I am striving to live my life with passion despite the fears. Just checking out your blog and followed it. Thanks for the comment! Pingback: Kung Fu Training – Are you Driving Energy Or Pushing Energy?